← WHAT DO THESE PEOPLE HAVE IN COMMON? On Sunday, July 27, 2008 the Philadelphia Soul defeated the San Jose SaberCats 59-56 to win Arena Bowl XXII and become World Phucking Champions three months before that was even a phrase. Their average attendance was over 16,000 phans per game. More people were coming to Soul games than Sixers games. Then, shortly after winning the championship, the Arena Football League took an entire season off in 2009. The AFL returned in 2010 minus the World Champion Soul. 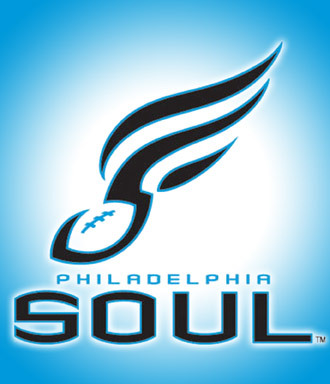 The Soul were invited back to start the 2011 season. 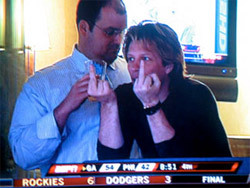 This time they were without previous owner Jon Bon Jovi (who still owes Philly a free concert). "Ph-you, Philly! I gotsta get paid, yo! Nu Jerz 4 Eva, SUCKAZ!!" They went 6-12 and finished in last place. Attendance was only an average of 9,800 per game which was over 6,000 less than their championship year. I went to a Soul playoff game with my brother in 2007. We had a great time. The game was exciting, there were Soulmates everywhere. We had the pleasure of having Jackie dance for us all game long. 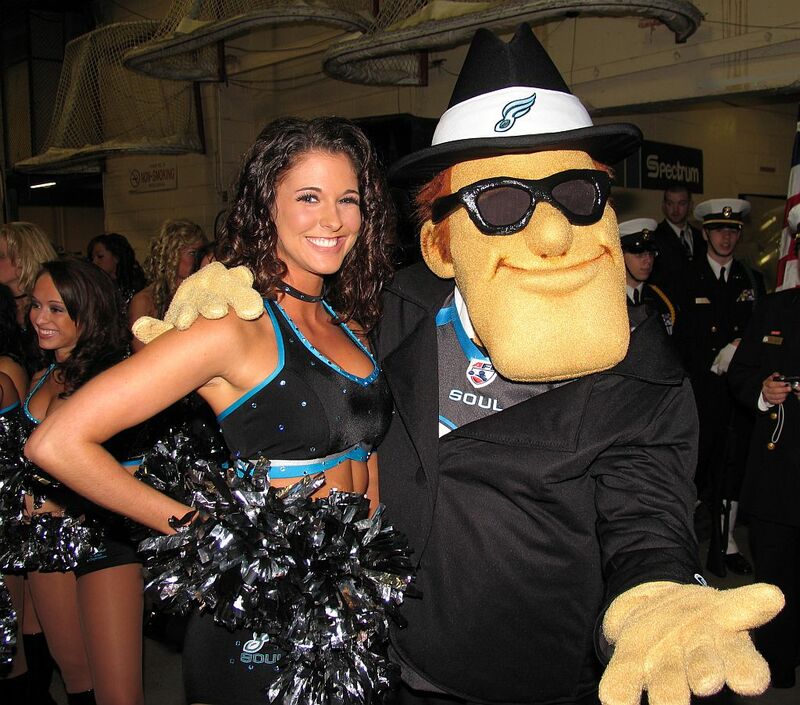 Get your hands off of my Jackie, Soulman! Obviously, the 2-year layoff was enough to make the city lose interest in this team. I know that a huge part of the lack of interest is that the AFL has an atrocious TV deal. They were previously on ESPN every week. Currently, the NFL Network shows some games, but the Soul aren’t even being shown locally (WTPh). You must go here or possibly here to watch the games. I have no idea of the quality, cost, or reliability of those links. Currently the Soul are revamped and are 2-0 to start the year. They are also ranked #1 in the AFL Coaches poll. Their team slogan this year is…”WE GOT THIS!” Pretty confident. I for one, am taking notice. I was excited when the Soul began playing in 2004. I bought a jersey, hat, and a t-shirt to show everyone else how excited I was. The Soul play tonight at 6:05 and I’m going to try and watch it. I’ll post the game times on the sidebar for the time being and I’ll keep the Soul posts to a minimum unless there is clamoring for it, or if they become World Phucking Champs once again. This entry was posted in Philly Sports and tagged arena football league, Bon Jovi, Jackie, Nu Jerz, Soul, Soulman, Soulmates. Bookmark the permalink.